Have you joined the Hexagon craze? These six sided, cute, little shapes can be found all over Instagram and Pinterest. And if you’ve been following the blog this year, you’ll have noticed that I’ve been sewing with them for a little while now too. They’re addictive I tell you! Last week I brought you a basic Hexagon Sewing tutorial outlining how to stitch these lovely little shapes using a modern take on traditional English paper piecing methods. 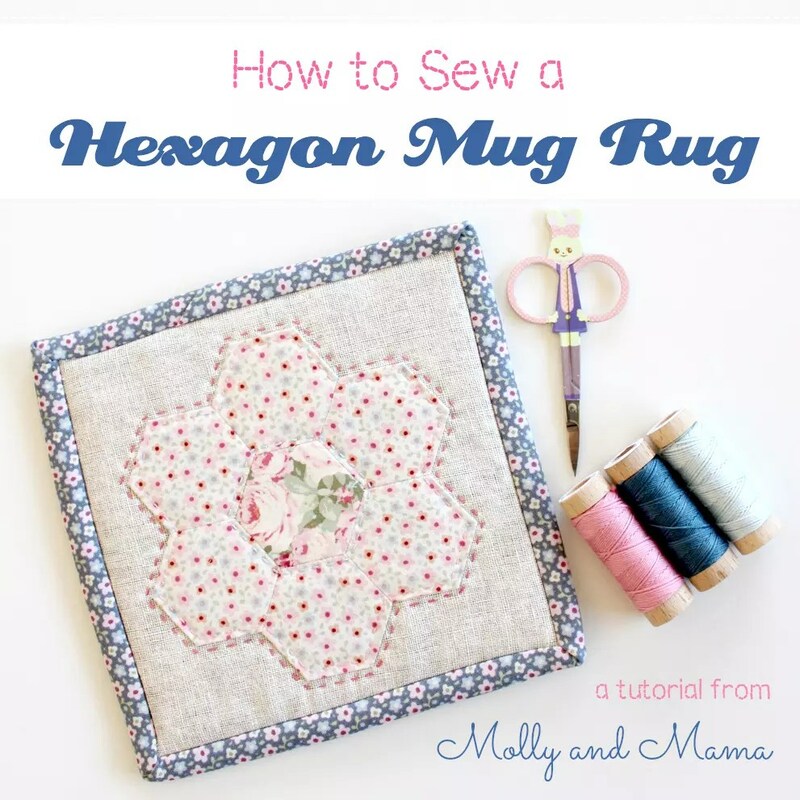 And this week I’ve written you a tutorial showing you how to make a sweet Hexagon Mug Rug. But I also have something exciting to share. This tutorial can be found over at the Sizzix UK Blog, because… wait for it… I am now a Creative Blogger for Sizzix UK. I’ll be sharing a monthly tutorial over on their blog, showcasing my creations made using the Sizzix Big Shot Plus machine and a whole range of gorgeous dies that cut fabric, felt, paper and more. As their slogan says, Sizzix puts creativity in your hands with amazing die-cutting and embossing possibilities! And it sure is true. I’m really excited about sharing more projects with you, so I’m cooking up some great ideas. 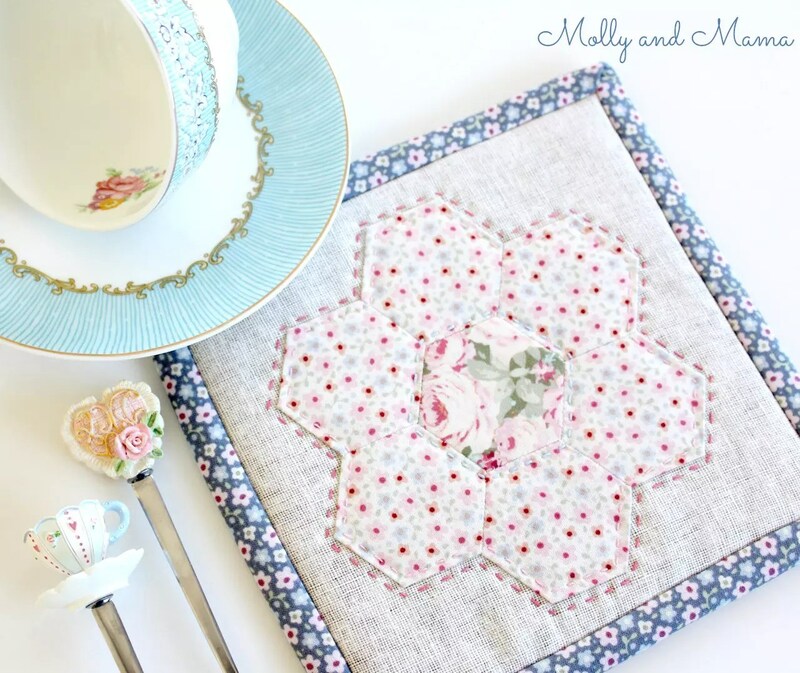 In the mean time, pop over to the sizzix blog and read all about my Hexagon Mug Rug or Pot Holder. It’s a great little introduction to sewing hexagons, and to basic quilting too! Stay tuned for more tutorials and “how to’s” coming soon. That’s very exciting news! And such a pretty mug rug! May I ask what fabric you used for the outer hexagons – white background with the very pale pink flowers. It would be perfect for a project I am trying to match. Thanks Kylie, It’s the Tilda Sweetheart range and the fabric is Celia Dove White. Happy hunting, Lauren.